Every month we are highlighting another aspect of the occupation of Palestine. This month we would like to raise awareness about the cases of avoidable and hidden mortality. The official numbers of Palestinian fatalities caused by the Israeli occupation are listed without the cases of avoidable and hidden mortality. These are also the cases that are rarely shared by the mainstream media. What we see in the mainstream media, assuming there is any coverage about Israeli violations, is that the focus is mainly on the extrajudicial killings and only since recently we can see some reporting about the ‘medical victims’ in Gaza who are restricted to travel outside the enclave to get medical care. In this report from 2006 about Global Avoidable Mortality we can read that “From UN data, the post-1967 avoidable mortality (excess mortality) in the Occupied Palestinian Territories totals 300,000 and the post-1967 under-5 infant mortality 183,000 (of which 90% has been avoidable) – as compared to 2,178 post-1967 Israeli terrorism deaths (Israeli Ministry of Foreign Affairs figures). To picture these cases we will make use of an article of Counterpunch of March 2011 where we can find a partial list taken from “Remember These Children”, of Palestinian children mostly 13 and under of the approximately 1,500 Palestinian minors killed by Israeli forces over 11 years. Please note the causes of deaths to understand that a lot of these victims were avoidable casualties. A second indicator to find out that victims of avoidable and hidden mortality are occurring throughout the Israeli occupation is to google on the specific groups which we will mention later on. You will see that over the years the same cases are occurring over and over again. It is important to realize that avoidable and hidden mortality cases existed from the day of the Nakba in 1948 up to this current day and come in all forms. Read the letter on 1948 Labor Camps by Salman Abu Sitta. Before mentioning the specific groups of avoidable and hidden fatalities we would like to name an important “assassin”. We are talking about pollution and the effects on the health of the Palestinian people. We cannot name all the sources but to get an idea we have selected some articles. 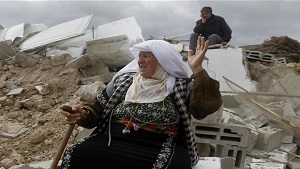 Here you will find an article on how Israel is using the West Bank as a dumpsite. Here you can read how Israeli industries are polluting the Palestinian city Tulkarm. And here you can learn about one of the causes of cancer in Gaza. Another direct cause of several chronic diseases is the quality of drinking water. Read here about the current situation and about what to expect in the coming years. As a direct result of the electricity cuts sewage has to be dumped in the sea of Gaza. On a daily basis, 110 million litres of raw or poorly treated sewage is pouring into the Mediterranean. Read here. The first victim of a polluted see is the five year-old Salem Al-Saiyis who passed away on 29 July. Read here. In August 2015 the UNRWA published an article about the rising infant mortality in Gaza “Infant mortality is one of the best indicators for the health of the community,” said Dr. Akihiro Seita, Director of the UNRWA health programme. “It reflects on the mother and child’s health and in the UN Millennium Development Goals, it is one of the key indicators. In an article from Al Arabiya news of 2009 it is stated that suicide rates were the highest ever. But while there were 9 cases of suicide victims in 2009 in this article from The times of Israel we can read that in 2014 there were already 32 confirmed cases. In this article from Middle East Monitor from March 2016 we can read that suicide rates in the Gaza Strip have seen a 35-40 per cent increase in recent months compared to the same period in 2013-2015. Only in January and February 2016 80 Gazans tried or succeeded in taking their lives. And here an article about the loss of two young artists from Gaza, a writer and an illustrator. Israel has one of the highest rates of construction accidents. In 2015 alone, 50,000 people were injured and 54 killed in work accidents in Israel, the majority of them construction laborers. Read here. In a recently published report of the World Health Organization (WHO) it is stated that Israel has delayed giving permission to about half of Gazans who seek to leave the besieged strip for treatment in Israeli hospitals in May. In this article from Middle East Monitor we can read that in the month of August 2017 six women from Gaza died of cancer due to travel restrictions. It is also mentioned that since the beginning of this year thirty patients already had died because of travel restrictions including fourteen cancer patients. But there are more restrictions we have to take into account. Over the years since the siege on Gaza the Israeli government cut down its electricity supply in the Gaza Strip. In this statement from the WHO we can read about the impact of this shortages on the hospitals and patients of Gaza. And we also have to mention the shortages of medicines and supplies. In 2011 Doctors without Borders already warned about the chronic shortages of drugs and medical supplies. Read here. A recent update about shortages of medicines in Gaza you can read here. Palestinian Health Ministry Spokesperson, Ashraf al-Qidra, said Gaza’s hospitals have run out of 40% of life-saving medicines. We only have to take a look at the pictures in this article from Middle East Monitor, published in May of this year, to understand that things only got worse. But also in the occupied West Bank we see many victims caused by restrictions. Here we find the checkpoints where patients and ambulances are not allowed to pass to reach a hospital in time. And think about the victims that could have been saved when Israeli forces allowed medics on the sites of incidents. These are the cases without answers. Dead bodies that are found in water wells or parks, bodies that are found hanged under mysterious circumstances and Palestinians being shot while driving in their cars. As a standard procedure a spokesperson from the Israeli police says they will look into the reports or we read that the Palestinian authorities will investigate these cases but sadly enough these cases will fall into oblivion. What we see in the mainstream media is a stigma on reporting about victims of tunnel incidents in Gaza. In general the tunnels are being linked with Hamas and therefore victims are not being counted as civilian casualties. What we do know is that Gaza is under siege and these tunnels are of vital importance for the survival of the imprisoned population of Gaza. It’s quite simple, when there wouldn’t be a siege there wouldn’t be tunnels. So we choose to list those cases as avoidable mortality. Regularly we see victims of medical neglect in prisons or Palestinian detainees who have died under unclear circumstances. Too often sick prisoners were being transported to hospitals or being treated for there illnesses when it was already too late. In reports of the Palestinian Detainees Committee those cases are mentioned including their long histories of repeated requests for decent medical treatment. Over 212 Palestinian prisoners have died in Israeli jails since 1967. 71 detainees died of torture while 60 others died of medical negligence. Some 74 captives were murdered immediately after being arrested, while 7 prisoners died of their wounds after being shot by Israeli soldiers while in Israeli jails. Read here. During the Top Conference in Cairo in October 2014 one of the issues that was agreed upon was a ceasefire between Israel and Palestine. Unfortunately since then Israel carried out several Israeli airstrikes on Gaza which resulted in some civilian casualties. Not much have been done on the reconstruction of Gaza after the war in 2014. Many people are still homeless or live in shacks. These delays cause victims. Because of the frequent electricity cuts people in Gaza have to burn candles and cook on wood. In combination with inflammable construction materials houses catch easily fire. We also saw cases of hypothermia in the winter months and a fatality because of a collapsing roof. Over the years the siege on Gaza have changed the enclave into a bomb field. Some 29 tonnes remnants of explosive materials have been removed from the Gaza Strip since Israel’s deadly 2014 “Operation Protective Edge” war on the Strip according to a statement by UNRWA. This resulted in many accidents including fatalities. The incidents where people survived an explosion often disabled them for life. Teargas is a more dangerous weapon than we might think. In this article from Huffpost we can read that in 2009 and 2010 two Palestinians died from teargas that was made in the USA. In July 2014 dozens of Palestinians, including children, suffered from suffocation due to inhaling what is being described as a “strange toxic gas” launched by the Israeli army during its ground incursion in the north and south of the Gaza Strip. Read here. Over the years we saw many cases of settler violence. And yes settler violence is also an hidden and avoidable mortality. When the punishment by the Israeli authority would be harsher on settler violence we wouldn’t see so many incidents. It is not only that most of the time settlers will come away with their acts of violence, the Israeli police and army don’t do anything to stop it or arrest the settlers. In fact settlers are being protected by the army and police during their acts of violence, harassment and intimidation. According to a report from UN Office for the Coordination of Humanitarian Affairs (OCHA) there is a 90% increase in Israeli settler violence against Palestinians in first half of 2017.